About Us : HenriettasHandbags.com, Divine Bags for the Diva in you! My name is Henrietta and I started Henrietta's Handbags in 2001 as a handcrafted bag business on E-Bay. The concept of developing and selling new handbag designs captured my imagination and from this small beginning the idea formed for finding other unique bags and selling them on my own website. With the help of my husband and business partner, we added purse patterns to our product line in 2004 and the business (and the amount of handbags and patterns!) grew from there. 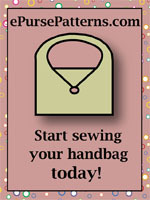 In March of 2009, we separated the handbag business from the purse pattern business and PursePatterns.com was born. 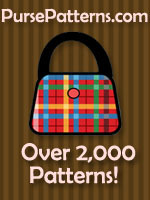 We expanded again in 2012 with the addition of ePursePatterns.com, a website that carries only downloadable bag patterns in PDF. We currently have over 250 handbags, almost 2,000 purse patterns, and 374 downloadable patterns in our inventory and we are continually adding to that amount regularly in order to give you more options, colors, and styles. The most important thing to us is to provide the best possible service and to keep you, the customer, happy with your purchase! We appreciate your business and, if you have any questions or comments, please feel free to contact us!